4. Vegetables: add whatever chopped veggies take your fancy like carrots, sweet potatoes, green beans, potatoes etc. This time I simply added loads of diced garlic and onions. Place all of the above ingredients into an oven-proof casserole dish (e.g. Le Creuset) or slow cooker and whack in a 80-120C degrees oven and forget about it for 8-24 hours. The temperature is dependent on length of cooking time (i.e. 80 degrees Celsius for 24 hours or 120 degrees for 8 hours). With a slow cooker put on the lowest setting. 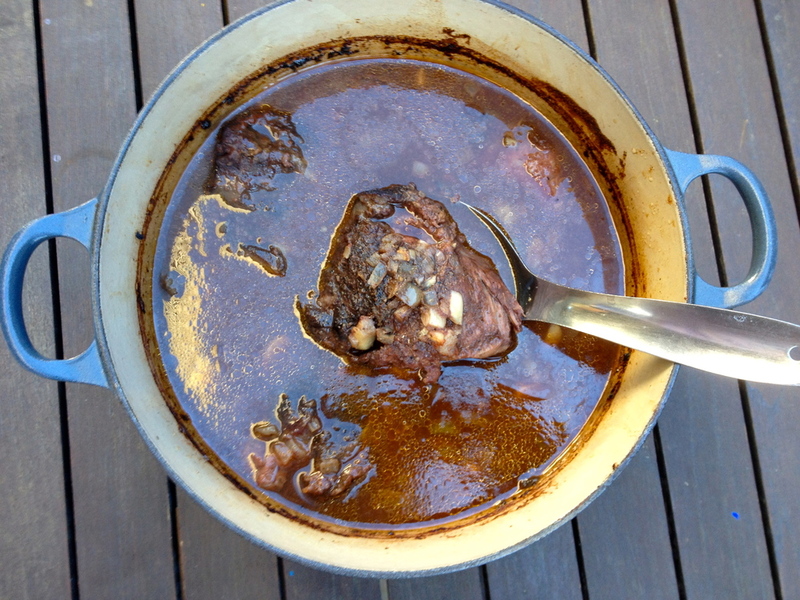 Place 1-2 beef cheeks into each bowl and ladle loads of the broth on top. I served with steamed vegetables (like cabbage and zucchini) in the same bowl. For more casserole recipes click here and here. Kali Orexi (that's Greek for good appetite! ).